Tea time is a relaxing time. For that important time, how about tea brewed from your favorite kyusu or teapot? 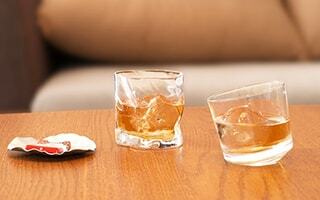 We introduce our recommended kyusu in this page. Please find your favorite one from various teapots of different materials or tea strainer types. Are you looking for favorite kyusu? 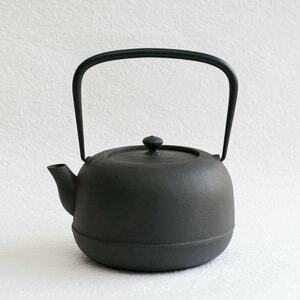 Kyusu is Japanese teapot. It is also called kyusu teapot in English. To drink green tea or black tea, kyusu is a necessary item. 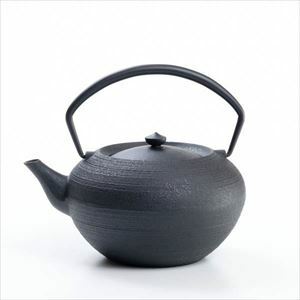 However, it is difficult to find your best kyusu from enormous teapots around the world. Where can we get such a dreaming kyusu? When you get up or after having breakfast? During you work or doing housework? With lunch? When you have guest? Afternoon tea? After dinner or relaxing time before going to bed? Tea time is an important time for us that we can take water and relax. In fact, tea time deeply relates to the life cycle of us. For your great tea time, great kyusu is needed. Kyusu can send you happiness and relaxation with delicious tea. 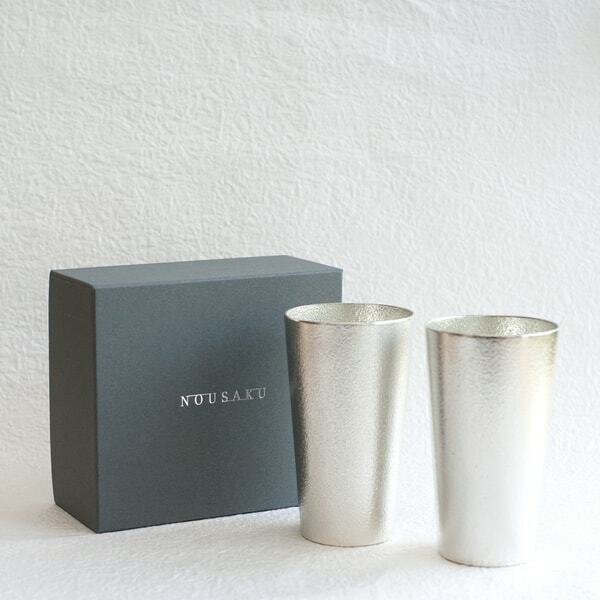 In this page, we would like to introduce some stylish kyusu. We hope your tea time would be a more pleasant time! Best items for relaxing tea time! 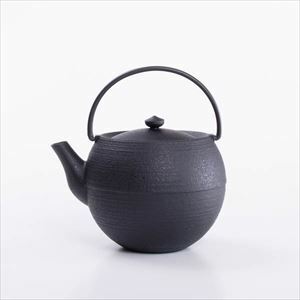 Japan Design Store collects beautiful Japanese kyusu and teapot. Please find your favorite kyusu from our kyusu collection. 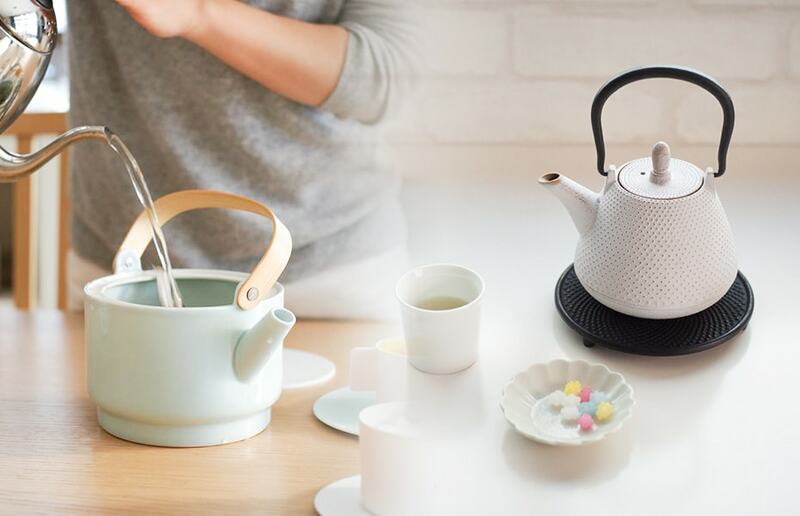 Let’s have a tea break with stylish kyusu and teapot! Teapot of Chushin Kobo has certain comfortable weight. 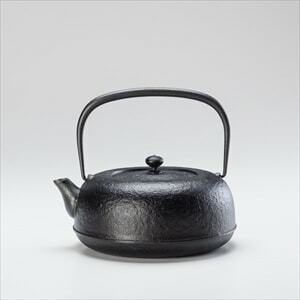 Yamagata cast iron teapot is characterized by its polished stylish design for modern life style. Also, Yamagata cast iron has beautiful surface of cast iron. It has calm atmosphere of tetsubin. 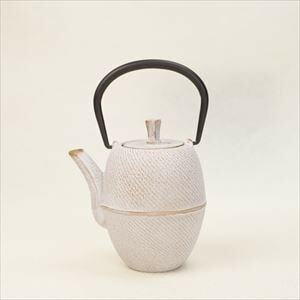 Teapot of Chushin Kobo was produced by a skill to produce iron teakettle for tea ceremony. 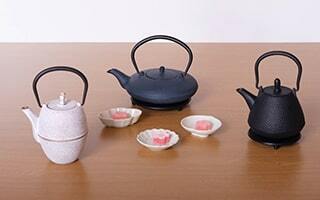 Chushin Kobo offers 3 types of teapots. Rounded form “Marutama”, Natsume (tea caddy)-shaped “Maruzutsu,” and tea-jar-shaped “Hiratsubo.” These 3 types have 2 sizes; L and S. The inside of teapot is enameled. A stainless tea strainer is set with the teapot. The spout of teapot is hard to drip. Color tetsubin teapot of Roji is Nambu tekki. 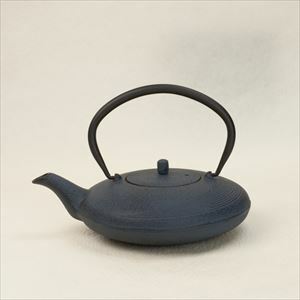 In addition to calm presence of cast iron, this color tetsubin teapot has rich colors and modern atmosphere. Nambu tekki (Nanbu tekki) is a famous Japanese traditional craft. Nambu tetsubin is the representative item of Nambu tekki. 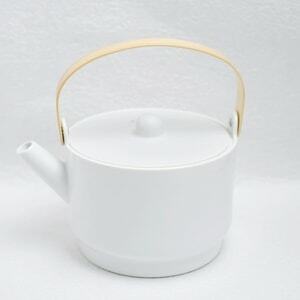 Color tetsubin teapot of Roji has historical solidity of Nambu tekki and casual but elegant design. 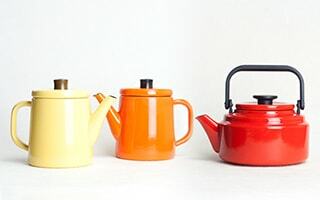 Color tetsubin teapot of Roji has 3 types. Traditional pattern “Dome Arare,” flat disc-shaped “Moon,” and stylish “Tsutsugata Hakeme.” The colors of Roji are sprayed before firing. Therefore, the teapots are hard to lose their colors. White & Gold teapot has cool gold color under the white color. The inside of teapot is enameled. 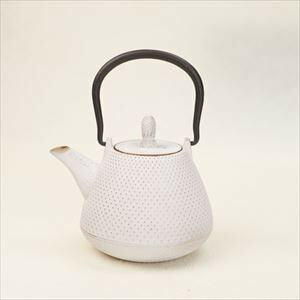 This color tetsubin teapot also has stainless tea strainer. 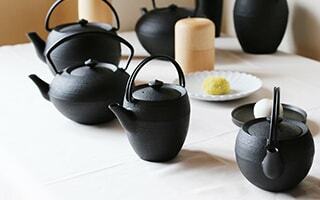 [Roji] Roji Associates offers color tetsubin teapots of Nambu tekki. The inside of teapot is coated with enamel. Therefore, you can use Nambu tekki easily. Solid presence, modern design, and usability is the secret of its popularity. 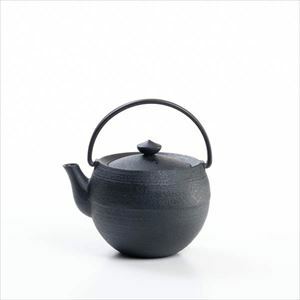 Great point of cast iron kyusu teapot! 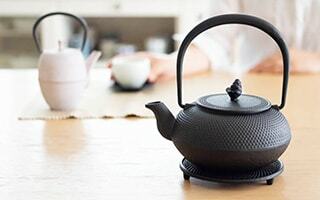 Do you know that cast iron kyusu teapot can make tea delicious? 2 teapots of Yamagata casting and Nambu tekki can keep warmth. So, cast iron teapot can keep best temperature of hot water to tea leaves. The hot water will extract the taste and aroma of loose tea leaf. Also, you can enjoy hot tea for a long time. The enameled inside of teapot is hard to get rusted, and easy to care. 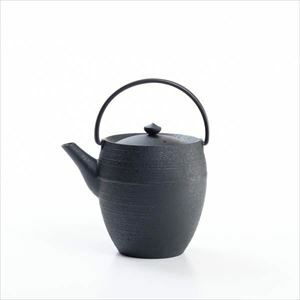 In addition to green tea or black tea, you can enjoy sake with cast iron teapot. Please note that you cannot warm the teapots of Chushin Kobo and Roji over open flame. 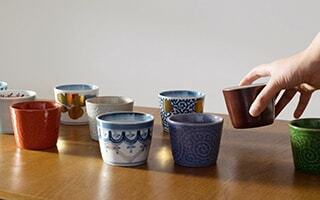 When you enjoy hot sake, please pour hot sake or use candle warmer. 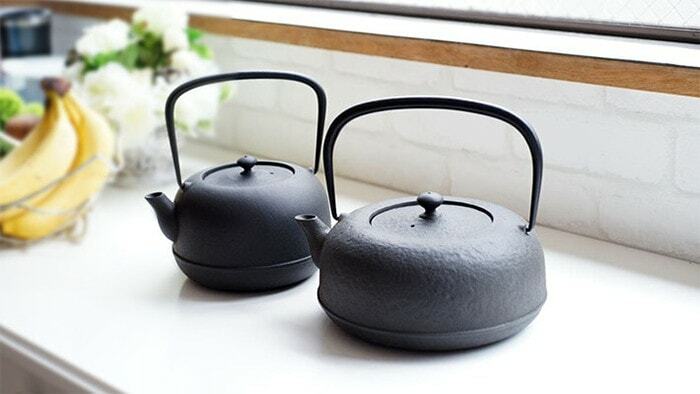 Enjoy cool atmosphere of cast iron teapot. * You cannot boil water with teapots of Chushin Kobo and Roji. You can enjoy the beauty and solidity of ironware with these teapots. However, unlike tetsubin, the inside of these teapots are enameled. This enamel processing keeps the iron teapot away from get rusting. Also, it makes easier to care cast iron teapot. You can enjoy second serve of tea with same loose tea leaves. 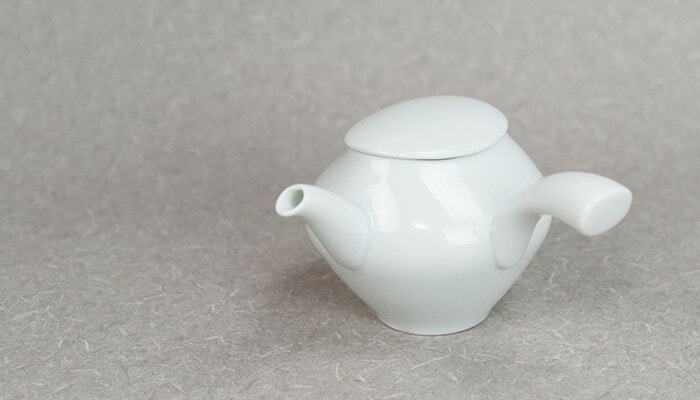 To make cast iron teapot strong against moisture, these teapots are enameled inside. If you heat cast iron teapots over open flame, or heat empty teapots, the enamel gets damaged. If you like Nambu tekki, how about Nambu tetsubin of Azmaya? If you would like to make more delicious tea, we recommend this Nambu tetsubin “Mizusawa-Ubaguchi tetsubin” from Azmaya. Nambu tetsubin can remove chlorine of water. So, Nambu tetsubin can make the taste of tap water mellow. In addition, you can take iron from the water boiled with Nambu tetsubin. For your health and beauty, Nambu tetsubin works! If you like Nambu tekki, we also recommend “Mizusawa-Ubaguchi tetsubin”! 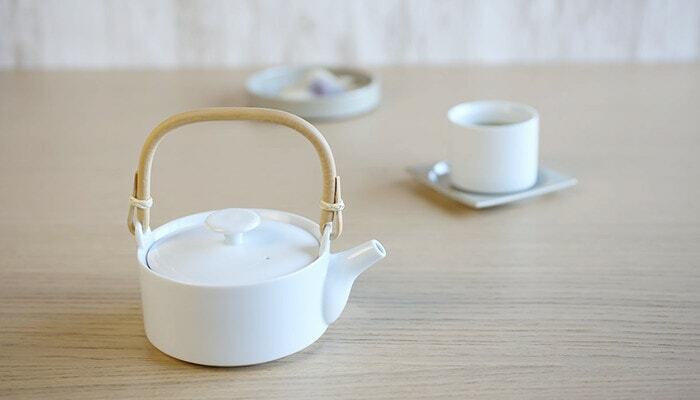 Simple and useful teapot of Arita porcelain. Pale color glossy pot with sharp bamboo handle. 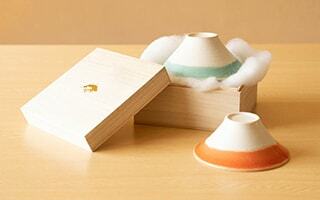 These cute teapots are designed by Dutch designers Scholten & Baijings. 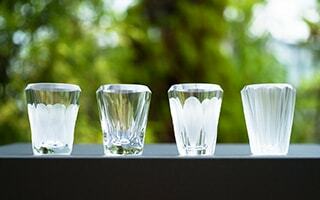 S&B series won Best Tableware Award in ELLE décor International Design Award held at Milan in 2013. 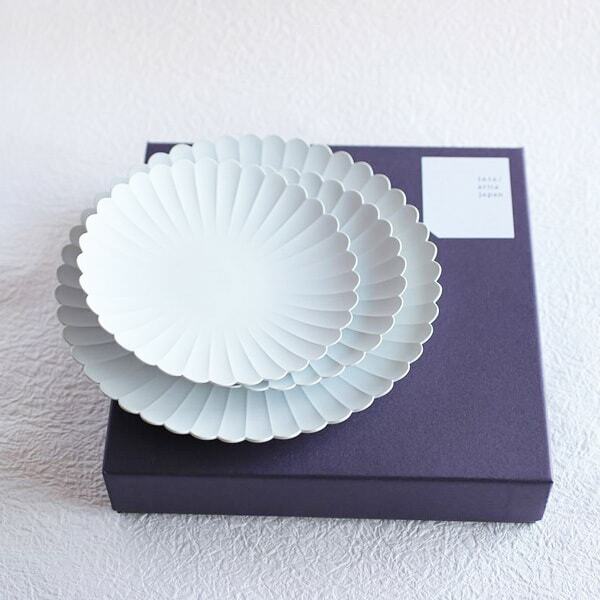 We can see great skill of craftsmen from the not warped, light and thin Arita porcelain. 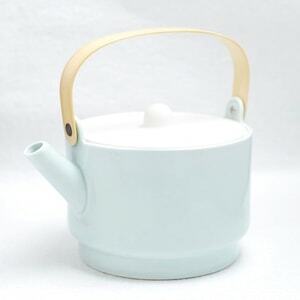 Teapot of 1616/arita japan has 2 colors; light blue and white. This teapot can contain more than 1L. So, when you have lot of guests, or when you would like to enjoy tea time for a long time, this teapot is best! The teapot of 1616/arita japan does not have tea strainer. If you would like to enjoy loose leaf tea, we recommend using tea strainer together. 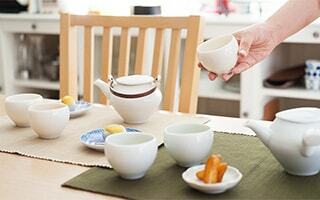 [1616/arita japan] Cute and modern teapots, sugar and creamer sets of Arita porcelain. 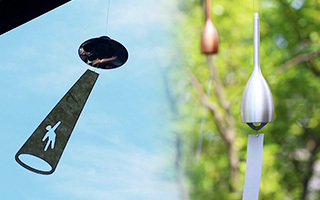 Japanese traditional crafts meet modern designers. 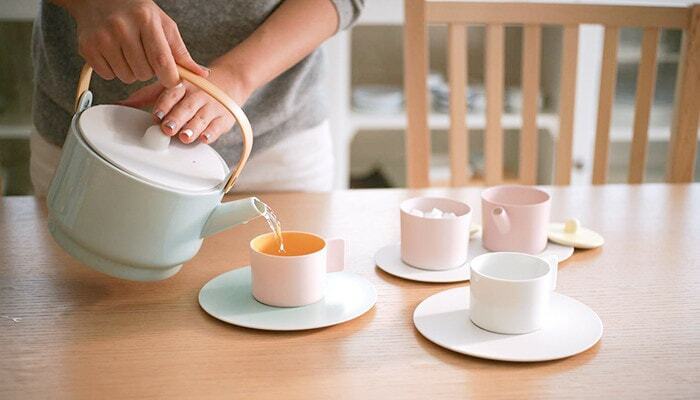 Cute color tableware will color your table. 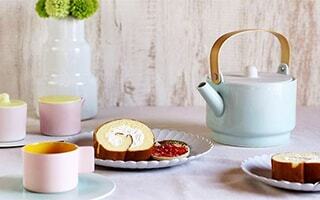 Have a modern tea time with modern teapots, suger and creamer sets. Clear white kyusu teapot. 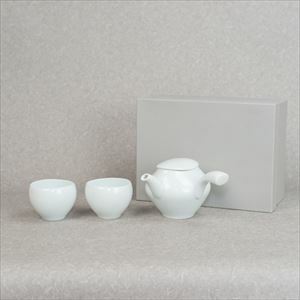 White porcelain reflects the color of green tea or black tea. 224porcelain is in Ureshino city of Saga prefecture. Ureshino is famous for tea and “Hizen Yoshida porcelain.” These kyusu and dobin are beautiful teapots of Hizen Yoshida porcelain. 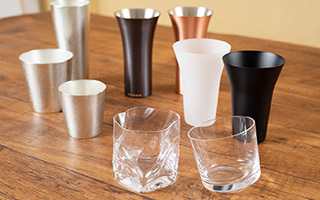 The kyusu and dobin of SUI series are characterized with flat and smart design. 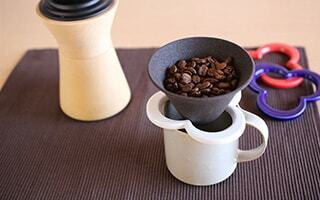 The handle of lid has enough height so that you can grab it safely after hot water is poured into kyusu or dobin. Kyusu and dobin are water-repellent finished. So, their spout is hard to drip tea. Also, these kyusu teapots are hard to get tea stained. The inside of spout has ceramic hemispherical tea strainer. 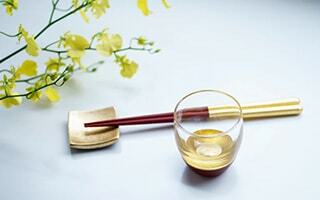 The tea strainer part is produced by special craftsman to make tea strainer. 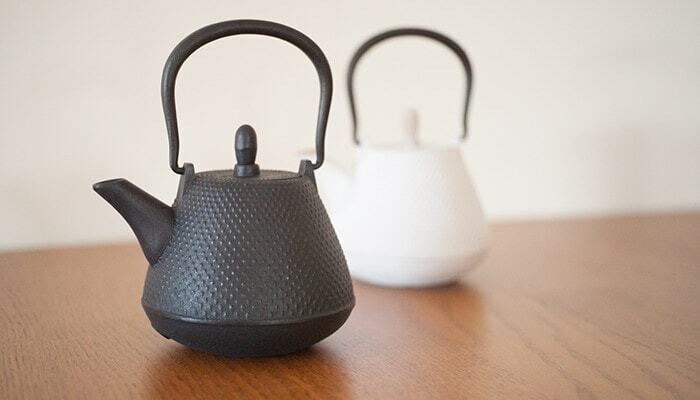 Therefore, you can feel craftsmanship from these kyusu teapots. 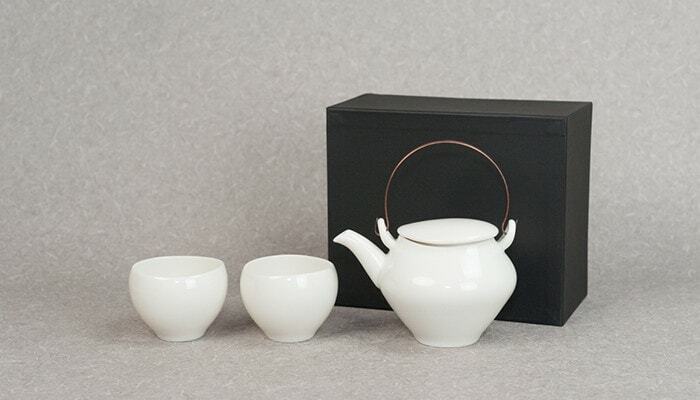 Simple design kyusu teapots fit various life style. Smart cylindrical form and gray color. The color of clay in places. Big handle is easy to grab. With a light power of one hand, you can pour tea easily. Moderato (not moderate!) 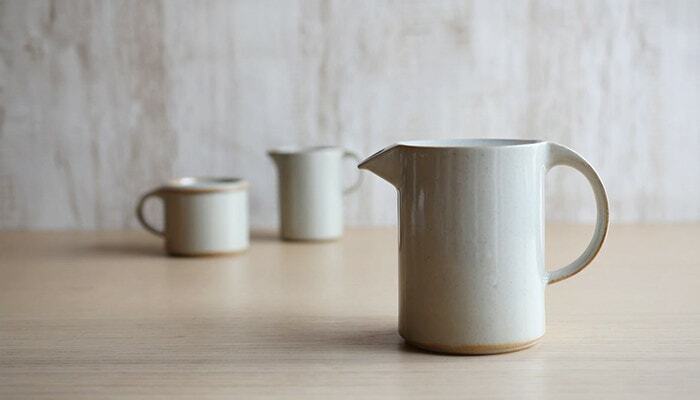 series of ceramic japan is designed by Katsuhiko Ogino. He designs daily necessities such as furniture, porcelain, or casting. Teapots of moderato series are stoneware, not pottery or porcelain. 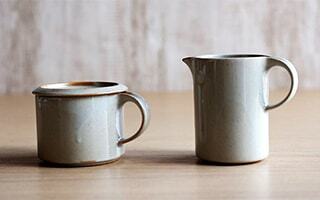 Stoneware is just between pottery and porcelain. It can keep warmth. This natural teapot does not have tea strainer inside. therefore, if you would like to drink loose leaf tea, we recommend using tea strainer together. Smooth texture and beautiful form kyusu and dobin from ceramic japan. 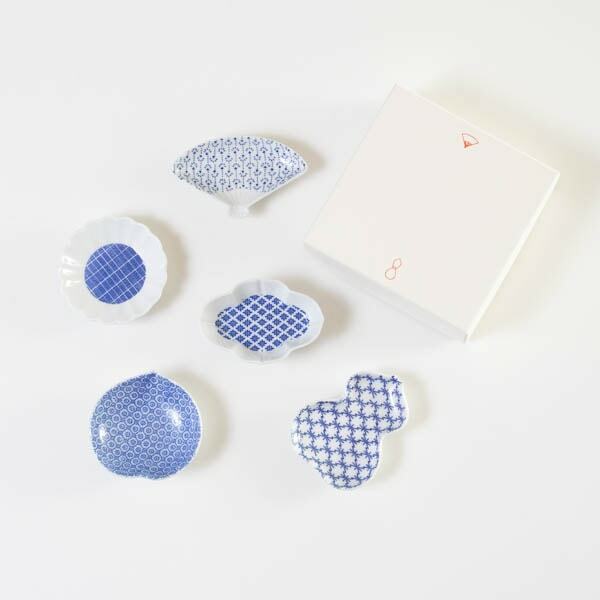 Sou sou series has 2 types; cool blueish white porcelain and warm yellowish white porcelain. Kyusu is bluish white porcelain. Carved handle is easy to hold. Dobin is yellowish white porcelain. The contrast of gentle ceramic texture and copper handle is beautiful. The lid of kyusu and dobin has rare form. It is egg-shaped, and no knob. Sou sou series is beautiful from every angle. At the mouth of spout, there is a ceramic hemisphere tea strainer. 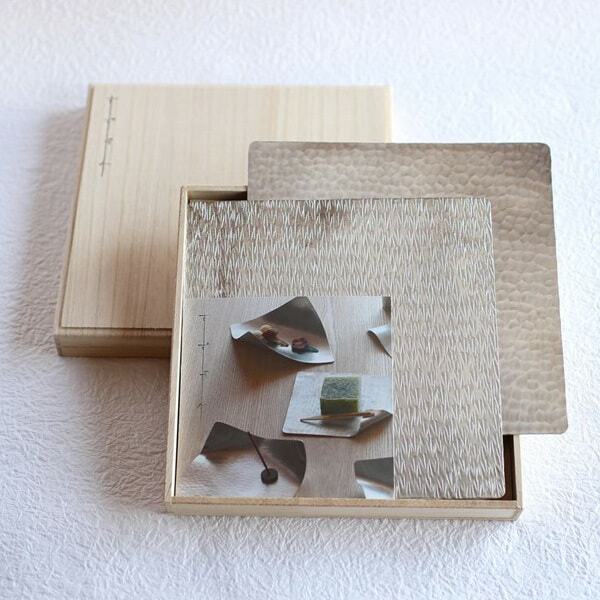 Simple design kyusu and dobin fit various cuisine. 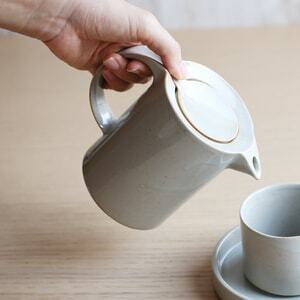 You can use this simple teapot for a long time. What are the differences of kyusu, teapot, and dobin? What do you imagine as an item for brewing tea? These 3 have almost same use. Then, what are the differences? Kyusu or kyusu teapot has its handle at right-angled place of the spout. You can pour tea with one hand holding the lid. Teapot has semicircular-arch handle. The spout and handle is on the same straight line. Dobin has cane or copper vine as the handle. There are all sorts of dobin. 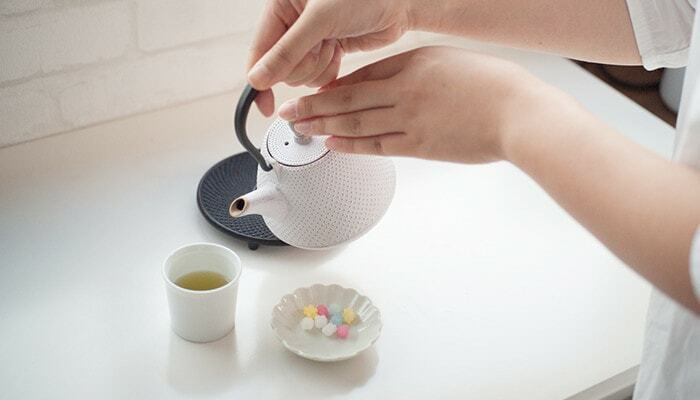 Japan Design store offers dobin for tea. Please avoid heating over open fire. Just use dobin as kyusu or teapot. 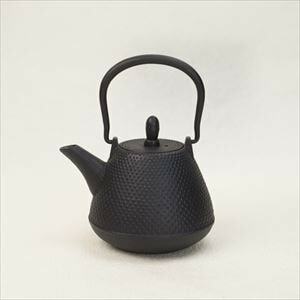 How to choose kyusu teapot? 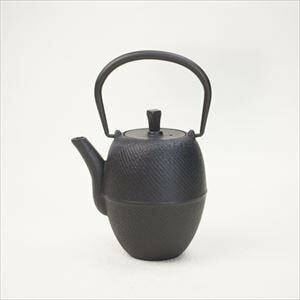 Kyusu and teapots in our store has 2 types; ceramic and cast iron. 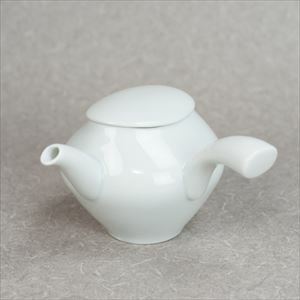 You frequently see ceramic kyusu or teapots. 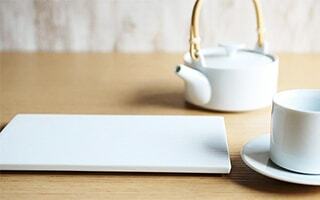 The reason is ceramic can keep warmth and brew delicious tea. However, cast iron teapots of Yamagata casting and Nambu tekki can keep warmth, too. If you like gentle atmosphere or texture of clay, we recommend ceramic kyusu teapots. 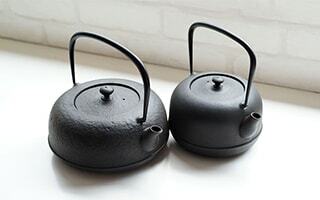 If you like solid and beautiful surface of cast iron, we recommend cast iron teapots. There are 3 types of tea strainer of kyusu teapots in our store. Teapots of Chushin Kobo and Roji have this type of tea strainer. Stainless basket net type is an easy-to-care tea strainer. 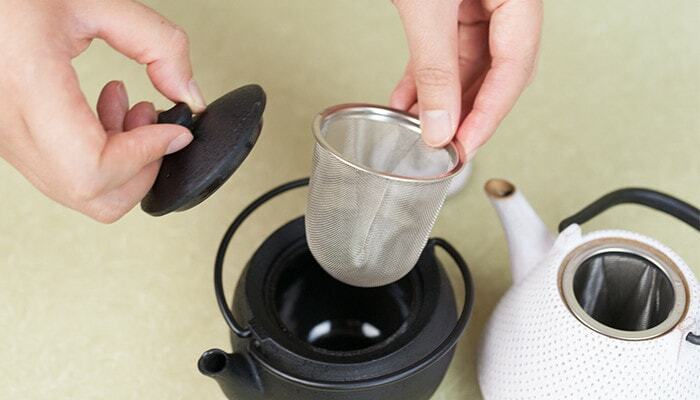 You can discard loose tea leaf and clean the net easily. Some may worry that metal net may change the taste of tea. However, stainless net is hard to change the taste of water. Fine net can catch small tea leaves. If you would like to have a hard-to-stain and easy-to-care tea strainer, this type is better. 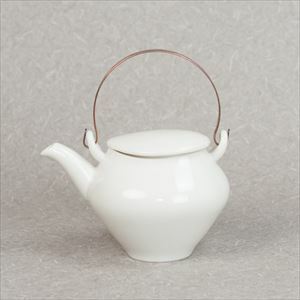 Kyusu and dobin of SUI series from 224porcelain have this type of tea strainer. You can see many small halls on ceramic hemisphere strainer at the mouth of spout inside kyusu or dobin. Craftsmen produced these small halls by their hands. So, the kyusu and dobin are filled with craftsmanship. 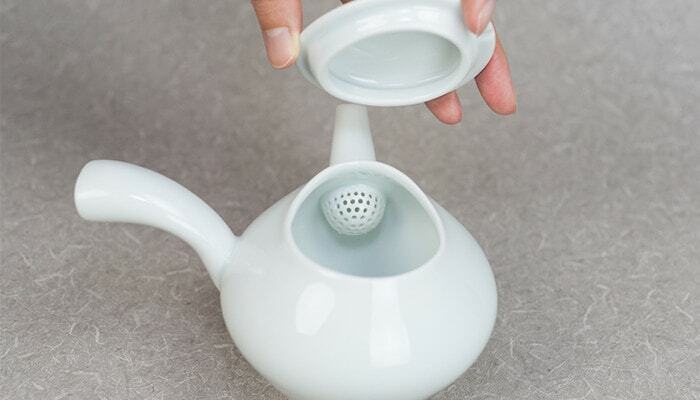 This type tea strainer can stop pouring very well, and hard to be clogged. 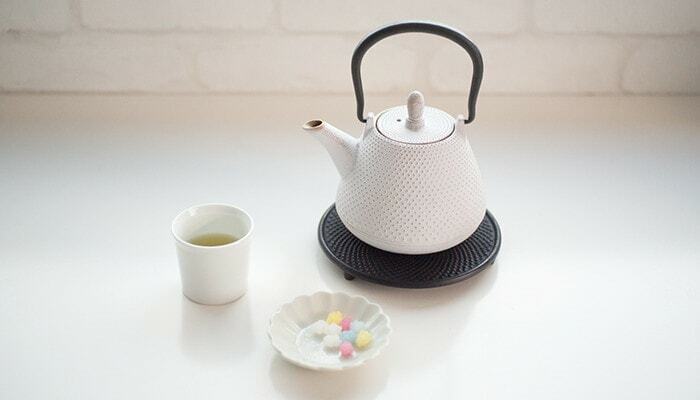 Since kyusu includes tea strainer, this type kyusu has simple and smart design. If you like simple design, this type is the best for you. Tea pot of S&B series from 1616/arita japan and teapot of Moderato series from ceramic japan have this type of tea strainer. 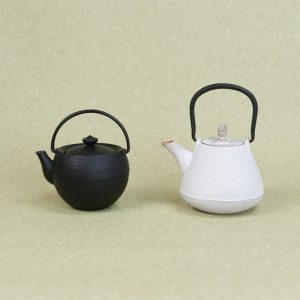 These two teapots have larger capacity than other teapots or kyusu. 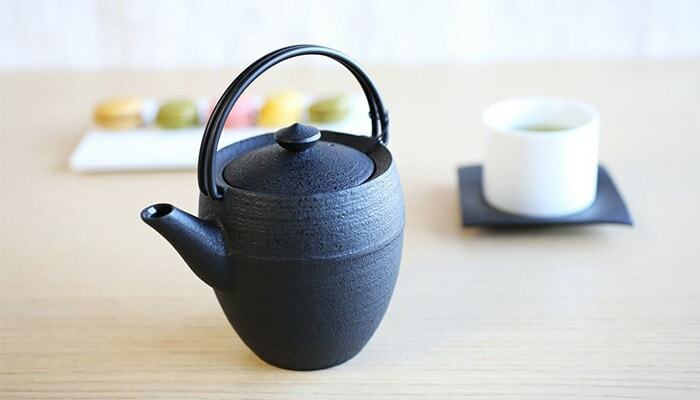 Non-strainer type teapot is recommended for black tea lovers. To make delicious black tea, “jumping” is necessary. Pour hot water into teapot and circulate tea leaves (jumping) will extract the taste of tea. Tea leaves are easy to do “jumping” in a large teapot. After extracting, tea leaves will sink at the bottom of teapot. So, too much tea leaves will not come from the spout. When you pour tea, set tea strainer on your cup or near the spout. (*Please note that the products in our store do not have tea strainer.) If you would like to brew tea in easier way, use teabags. Kyusu, teapot and dobin. Each style has different handles of forms and places. The beautiful gesture of pouring tea is one of the important moments of tea time. Please imagine when you pour tea. How would you like to do it? 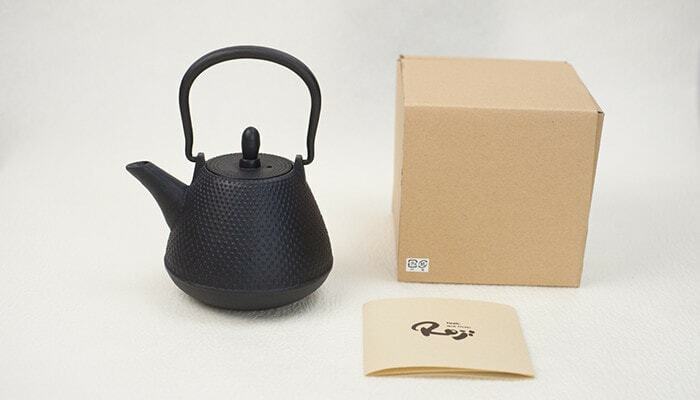 How about sending a special teapot or kyusu to someone special? Now, many people directly put teabags into cups, and drink tea. Of course, it is delicious. But, how about putting teabag into kyusu or teapot? Brew tea in teapot and pour the tea into cup. This one procedure makes your teatime more elegant and careful. Once you are accustomed to brewing tea with teapots, then try other kinds of tea. 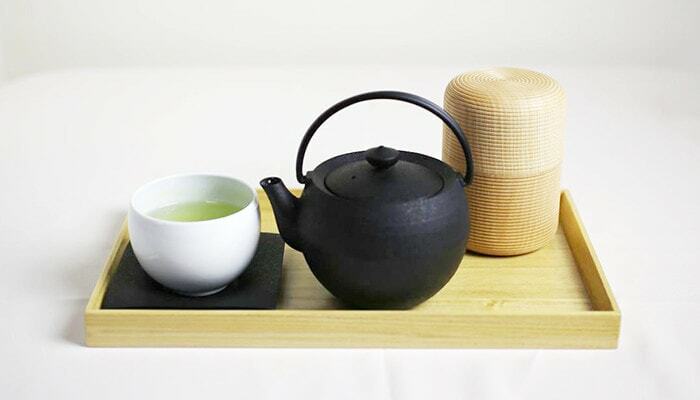 Green tea, houjicha, black tea, herb tea… The pleasure of tea world will be broadened. Sending kyusu or teapot can send new pleasure of life. 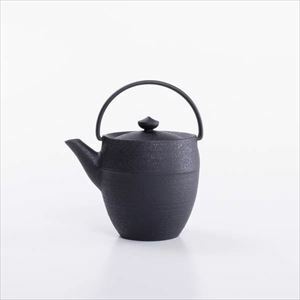 In addition, there are few people who have high-grade kyusu or teapots. Therefore, special teapots will be great gifts for tea lovers. Their tea time will become happier one. Also, when you visit or want to visit Japan, please choose Japanese kyusu or teapot as “omiyage.” Omiyage means souvenirs. If you buy a teapot in a shop in Japan as souvenirs, it takes much space in your luggage. 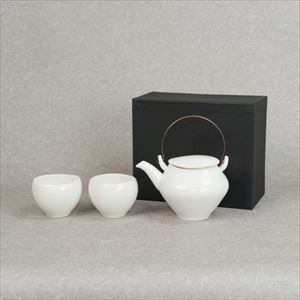 However, if you buy an omiyage online, you do not have to carry heavy teapots. You do not have to visit various places in Japan. Instead, you can get great Japanese souvenirs online! 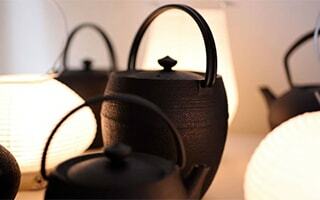 Wedding, housewarming, celebration of a birth… Teapots or kyusu can be great gift for any ways.